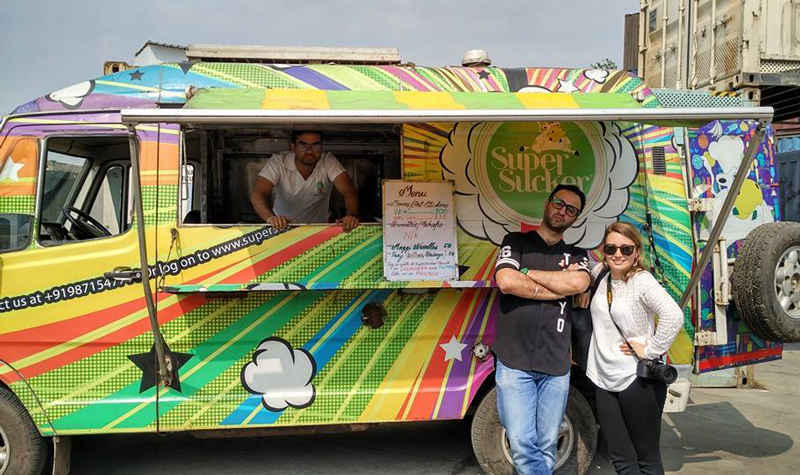 Street food has found a new cousin - food trucks! 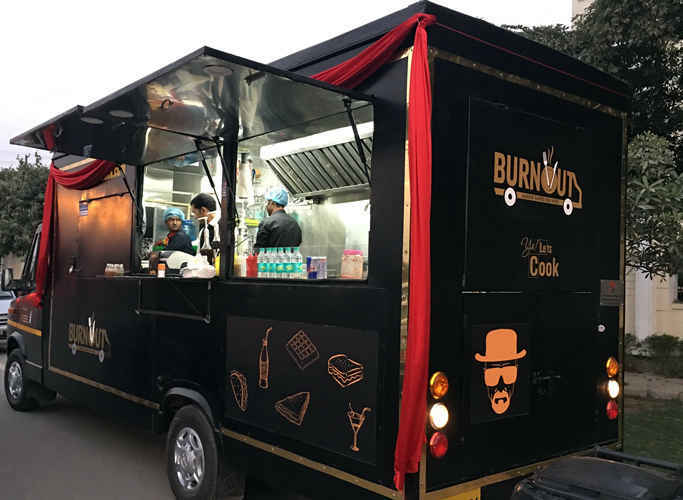 Delhi, with its big and generous heart has adopted the American food truck culture and we’ve definitely made it our own. 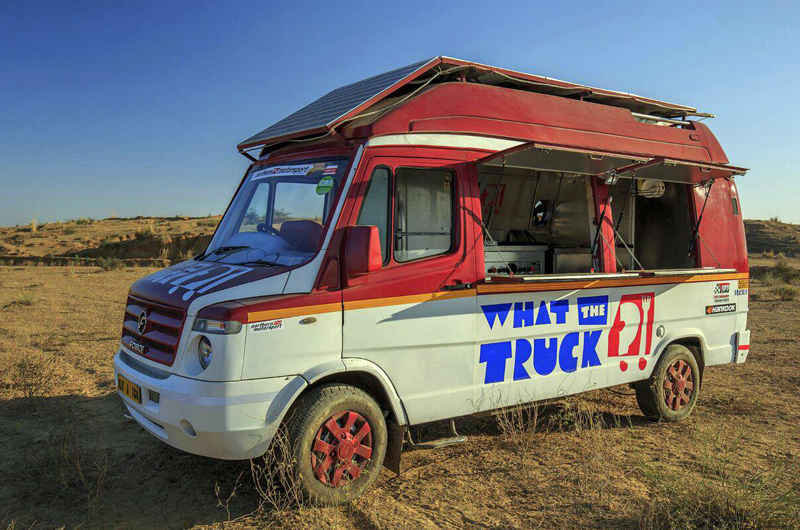 Eat out of these funky looking trucks on your next long drive! 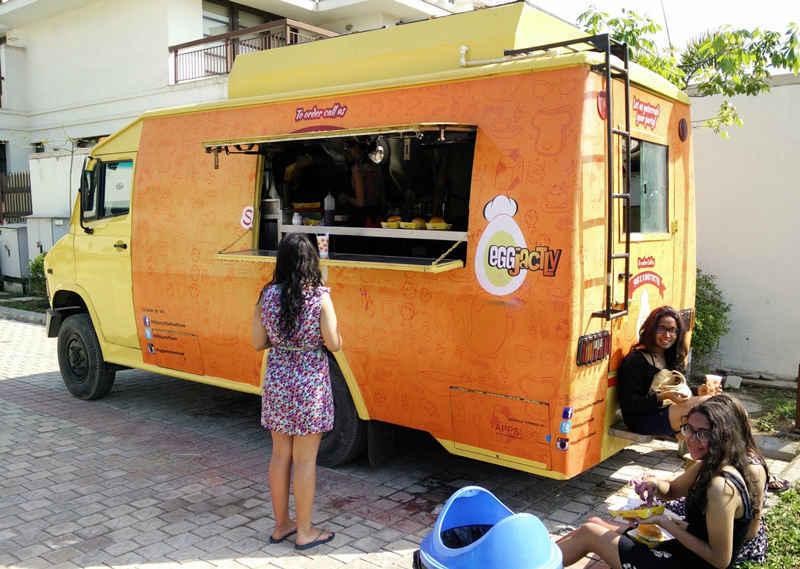 Adding a refreshing new twist to street food, EGGjactly offers healthy burgers (and no, that’s not a contradiction), omelettes, waffles, and pancakes as well as the yummiest shakes and desserts. ‘EGGjactly uses eggs as their key ingredient - eggs in every possible form! Enjoy your ‘Aam-lette’ or Anda Curry with Rice at Leisure Valley Road. A meal for two would cost approximately Rs 350. Painted in eye-popping colours, SuperSucker is hard to miss. Offering an eclectic mix of American, French, Greek, Mediterranean and Mexican food, along with smoothies and other beverages, SuperSucker gives your daily meal a spin of fun with names like ‘Skew Driver’ on the menu. From Burritos, wholesome Salads to Keema Pav, they’ve got it all! A meal for two would cost around Rs 800. 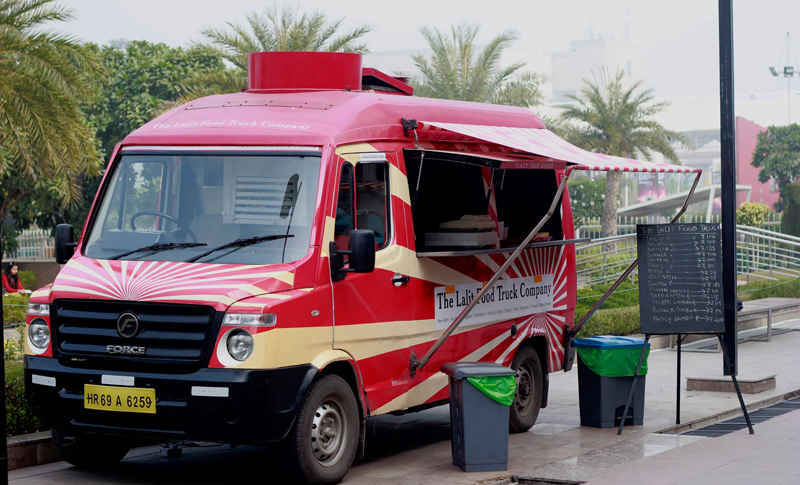 Enjoy five star Mexican fare, street food style at The LaLit Suri’s food truck, The LaLit Food Truck Company. Tacos, Churros, Quesadillas and Falafels are all served out of a bright red truck. You can often find them stationed behind the LaLit Hotel but they&apos;re also likely to move around to other locations. A meal for two would cost approximately Rs 200. 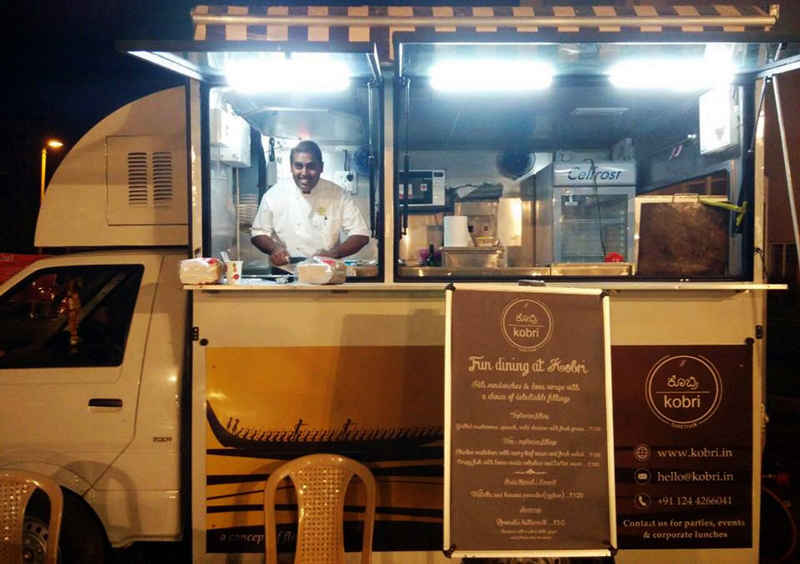 Idli Sandwiches and Dosa Wraps - before you begin to stare skeptically at your screen, consider visiting Kobri’s food truck that offers an eclectic fusion of South Indian and global cuisines. These Idli Sandwiches and Dosa Wraps can be stuffed with exotic fillings of your choice. Chicken with Bok Choy in Malabar gravy stuffed in your dosa, anybody?! Kobri has a limited but very innovative menu. A meal for two would cost approximately Rs 300. Frugurpop. Does it feel like you’re saying fruit, sugar and popsicle all at once? 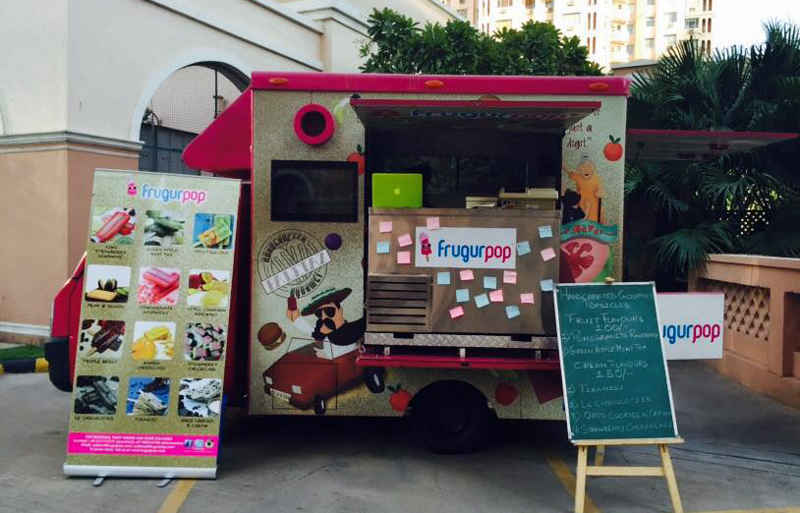 Frugurpop’s bright pink truck spells fun all the way as it brings handcrafted, gourmet Paletaz (Popsicles in Mexican) to the streets of Delhi. These popsicles are entirely natural with no preservatives or artificial flavouring. They also have sugar free varieties. A popsicle would cost anything between Rs 100 and Rs 200. Burgers, Wraps and Keema Pao, all out of a truck! Seriously, what the truck? Seen around Gurgaon, What The Truck? is popular for its Wraps and Chilli Doggie Dogs. It’s easily affordable and cost around Rs 200 for a meal. Specializing in Mexican fare, Burnout Food truck is here to raise the bar. You can expect nothing but the most delicious fare for our chatpata-crazy Delhiites! Not one to stop at just Mexican, they’re going for great Continental and creamy Italian delicacies too! Burgers, sandwiches, pancakes and much more on offer right here at Burnout - we just can’t wait to try it out! Nowadays we’ve seen food trucks serving just about every cuisine, but none of them ever took care of our street food cravings did they? It’s Punjab Grill you guys! 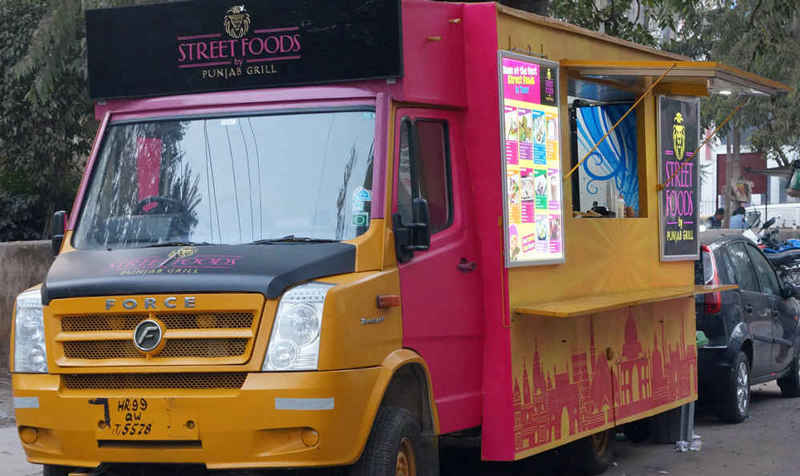 Unlike any street stall, Punjab Grill’s food truck’ll have innovative chefs and hygienic grub, not to mention a massive selection to choose from! There’s Dahi Bhalle, Aloo Tikki, Butter Chicken, Amritsari Choley, Tila Kulfi and Gajar ka Halwa besides so much more! A meal for two here would cost you around Rs 600. 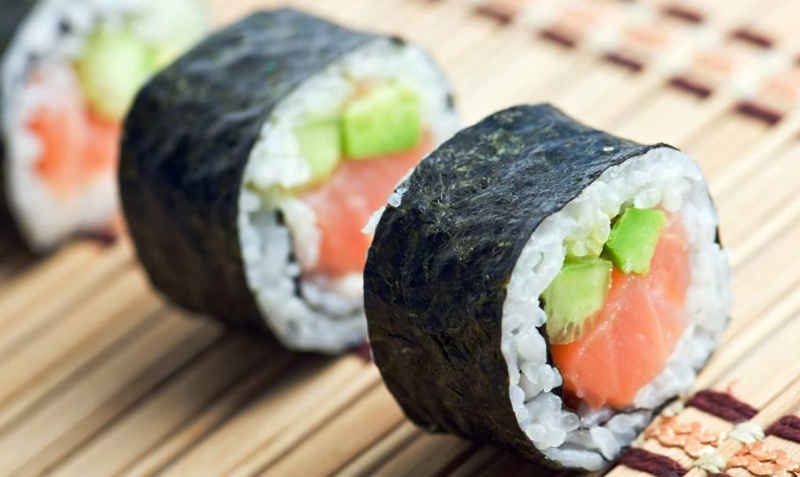 Sushi House Mafia is the newest addition to the food truck chain in Sector 29, Gurgaon. Their diverse range of Asian Fusion food has taken the capital by storm! When here you must try their Crispy Prawn & The Biggie Roll (house special). When the ingredients are super fresh and value for money is great, what more can you ask for? You can see them parked right next to EGGjactly!